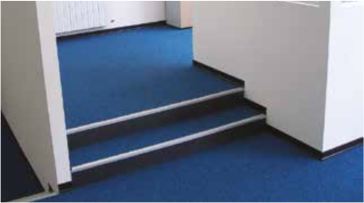 Topfloor raised access floor is provided with all the accessories needed to solve any problem of installation and plant engineering like accessories for air distribution, electrical and data outlet boxes, access steps and ramps, sector for vertical closing, acoustic pads, etc. 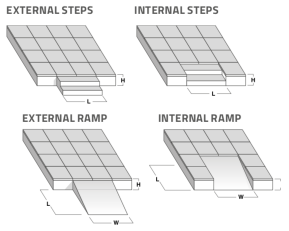 Elements to allow connections to subfloor plants, as for electrical boxes installed directly in the panels of the raised access floor, presenting a walking surface. 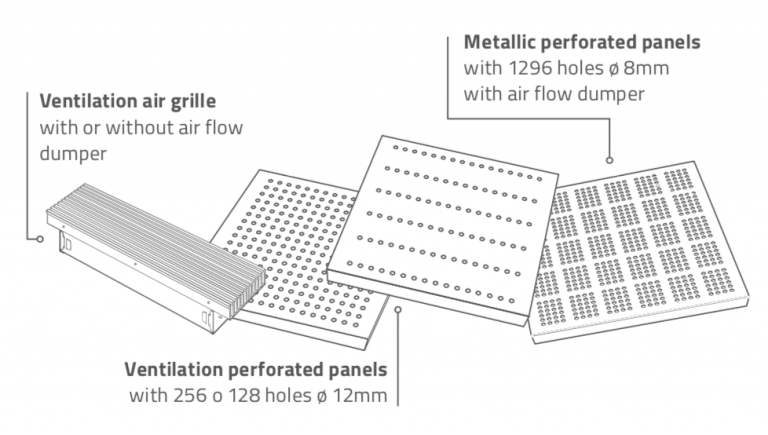 The plugs are contained in a metallic box posed under the panel and can be equipped with series of plugs and switches according to the operational needing. Accessories designed to solve difference of level and connections. Accessories to complete the division and the organization of the plenum under the walking floor, the side finishing and the lifting of panels. 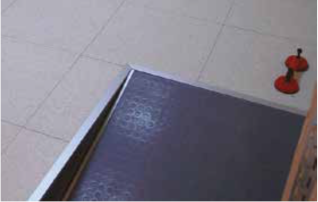 To improve acoustic characteristics of the flooring system, acoustic pads can be posed between the original floor and the base of the substructure, in different versions of thickness and density, according to the desired level of absorption.